Take a tour through Budapest on a bike! 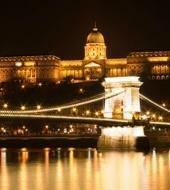 It is a fun and exciting way to learn about this Hungarian city. With a bike tour you will be able to see all of the famous landmarks up close and personal whilst keeping a nice pace allowing you to see more of the sights in a shorter time. So grab you helmet and come on a bike tour with Ticketbar!